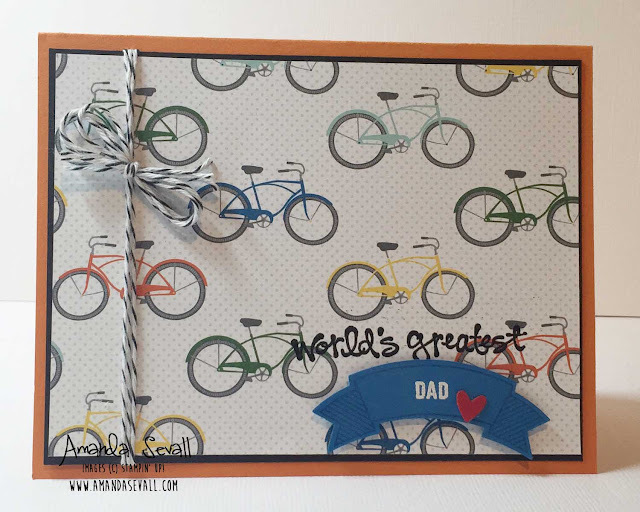 He's the world's greatest Dad and I think he'll love the bicycles from this retired patterned paper I used! Quick, simple and masculine -- I love our new banner punch too!! So much fun!! 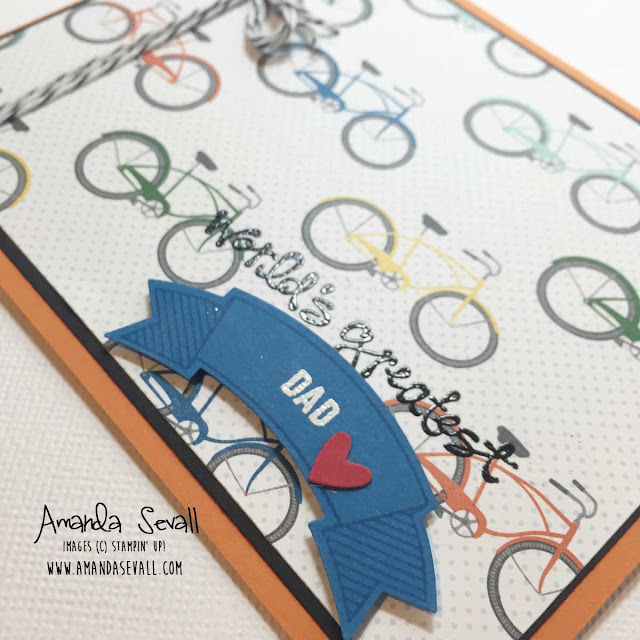 Make sure you go check out all the awesome ideas for using this stamp set from the other What Will You Stamp! designers today... they are fantastic!